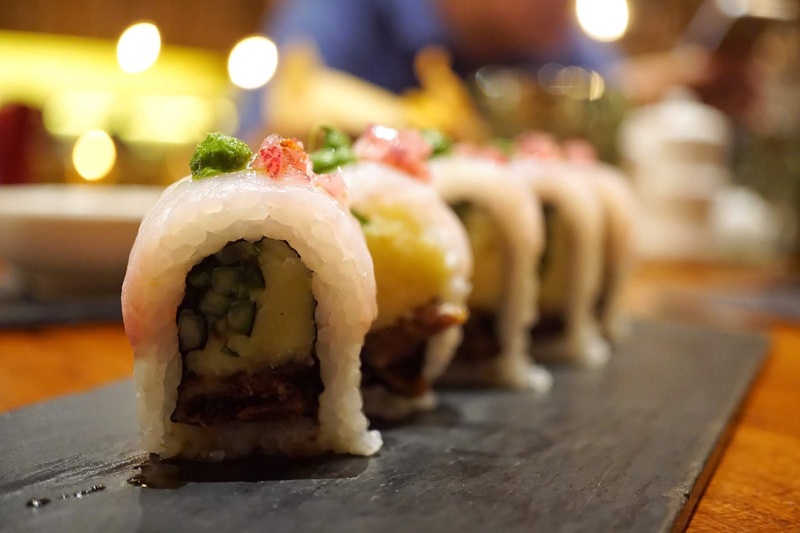 With the restaurant industry packed with so many players, old and new establishments have to come up with something different to stand out and capture the ever growing discerning market. And by new, we definitely saw concepts and products that define "unique" and some "bizzare". 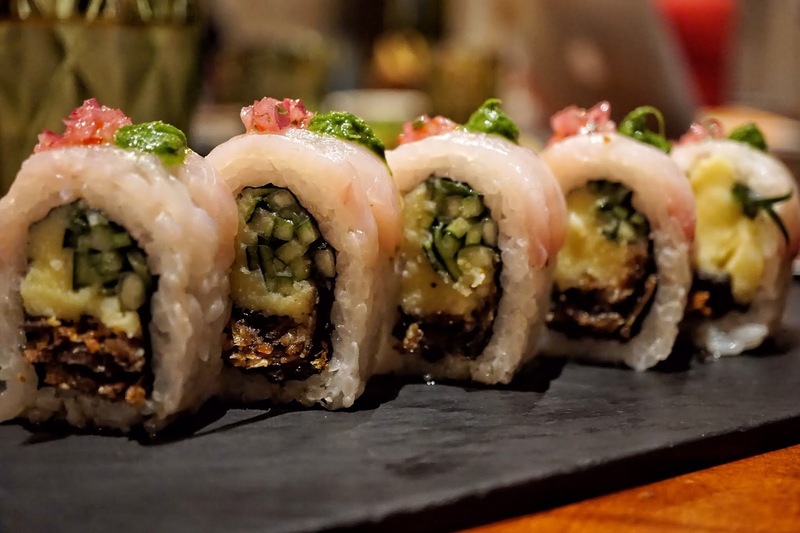 We've also witnessed the growth of fusion restaurants. 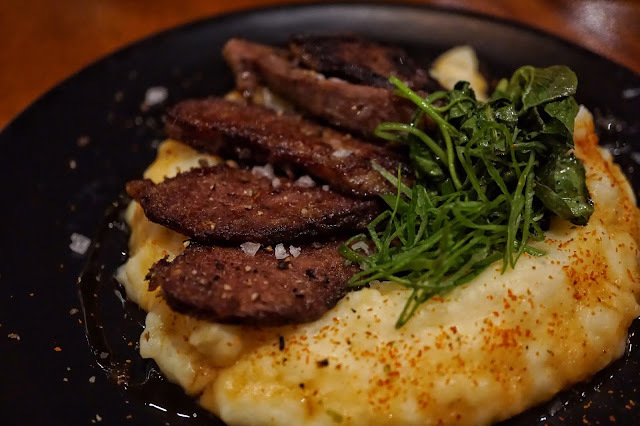 Though not all impressed the market, there are a handful of restaurants that live beyond the hype. One of which is Nikkei. Several foodies regard Nikkei as one of the gems of Salcedo worth braving the traffic for. 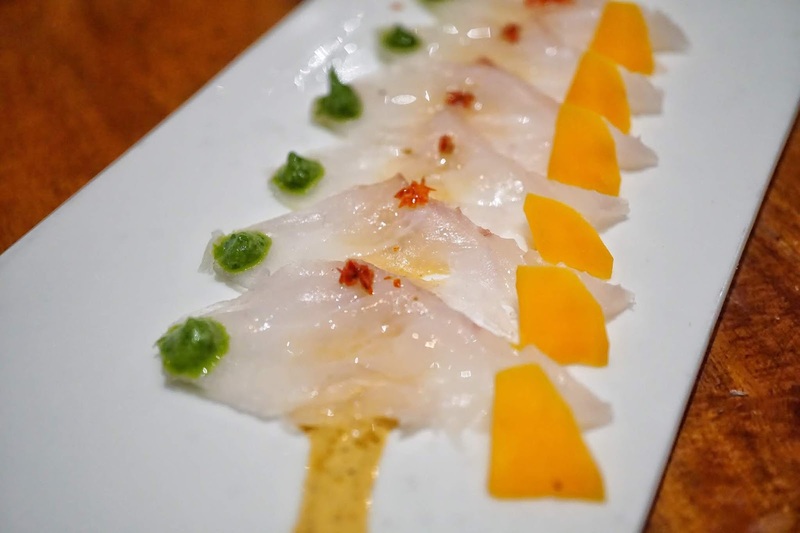 With its mouthwatering tiradito, ceviche and sushi, it's no surprise why this restaurant grew to four branches in no time. H invited us to visit Nikkei's Podium branch before attending an event that same night. Since it was just a floor down from the venue, we all gamely said yes. 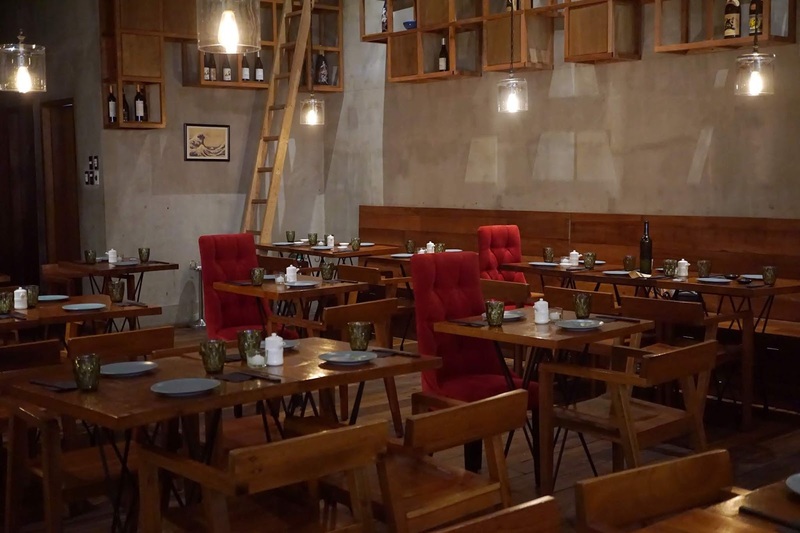 Nikkei's interiors remind me of Refinery with its ladder accent. It being dimly lit add a vibe of sophistication and warmth. 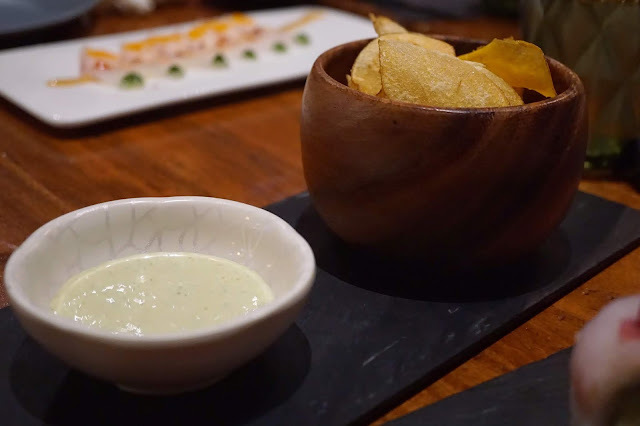 For this visit, we had Nikkei Tiradito (PHP195), Salmon Ginger Tiradito (PHP195), Marisco a la Plancha (PHP280), Causa Roll (PHP180, 5 pieces) and Carrilleras (PHP395). You can choose among white fish, tuna, salmon and octopus for Nikkei Tiradito and we opted to go for white fish. 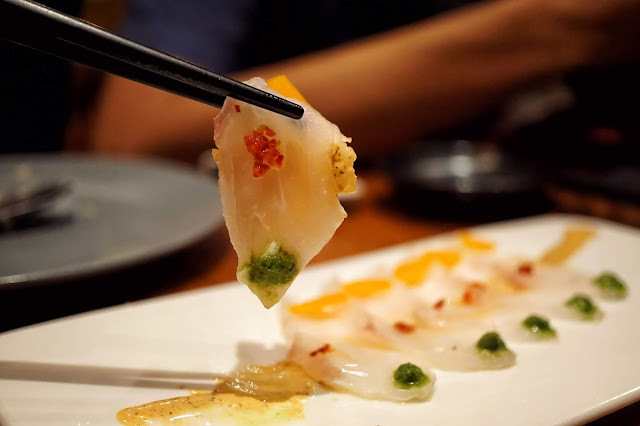 The thin slices of fish has a delicate sweet taste which was well complemented by the Nikkei sauce, red chili and cilantro. I was a bit intimidated by red chili but it was surprisingly mild. 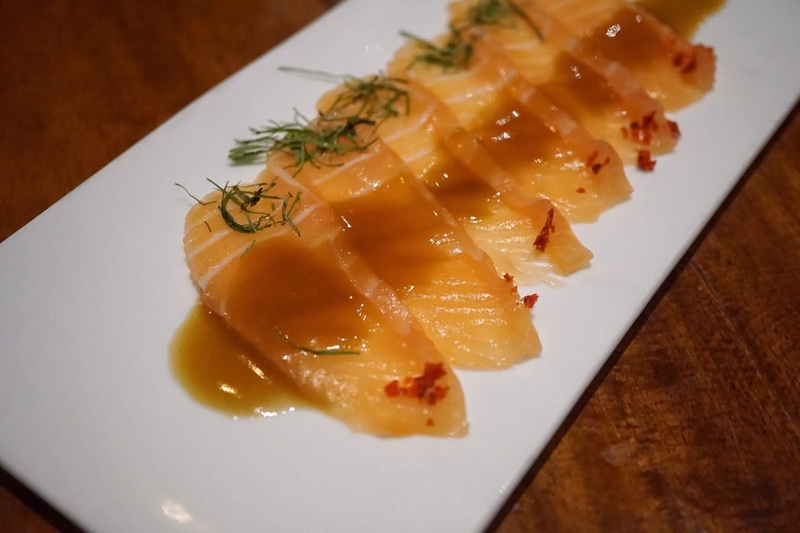 I'm a bit biased to liking Salmon Ginger more for two reasons: it being salmon, my favorite fish and it being drizzled with lime juice which gave the dish this delightful zest that made me want more. It also served as the perfect starter! 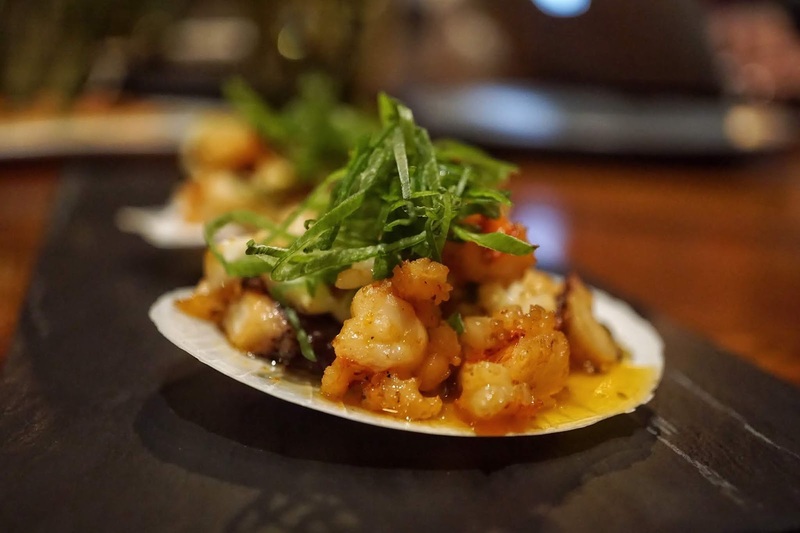 If you want more texture, Marisco a la Plancha is the dish for you. 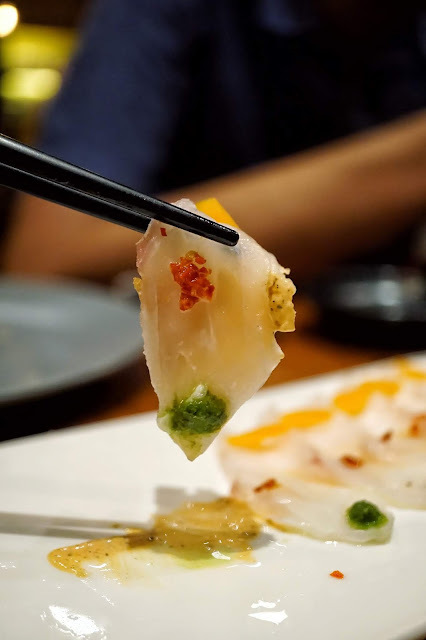 Each bite is filled with prawns, squid, Japanese butter, octopus, onion leeks, and pichicata drizzled with lime juice. Snappy and citrusy! But if a filling meal is what you're after, go for Causa Roll or Carrilleras. This filling roll stuffed with causa (Peruvian cold mashed potato), salmon skin and cucumber prepared with teriyaki sauce, Chalaquita and cilantro emulsion sure is a mouthful. The blend of the sauces gave this dish a nice mix of sweet and savory flavors. Meat lovers would enjoy Carrilleras which is a beautiful plate of braised Iberico pork cheeks on top of truffle potato cream. The lightly salted meat is so tender that it was effortless to munch on. It would have been nice too though if it had a bit more meat grains on it to contrast the creamy base. Nikkei has some interesting desserts too but we were running late and had to leave. I guess that leaves me a reason to go back. 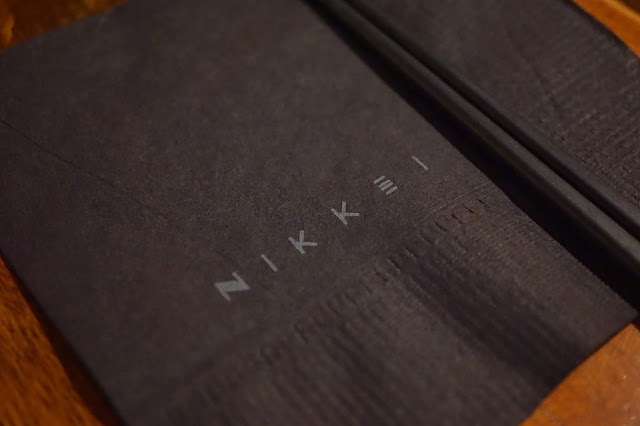 Just be prepared to bring a few thousands if you want to have a heavy meal as Nikkei's serving size is rather small. Nikkei is located at Ground Floor, Podium Mall, Ortigas Center, Pasig City.